In response to the growing need for special education and English as a second language educators in Illinois, Aurora University is the first and only institution in the state to offer the Master of Arts in Curriculum and Instruction: Teaching Diverse Learners degree. Teachers completing the two-year program will earn a master’s degree, including an English as a Second Language (ESL) endorsement and a Learning Behavior Specialist 1 (LBS1) endorsement. 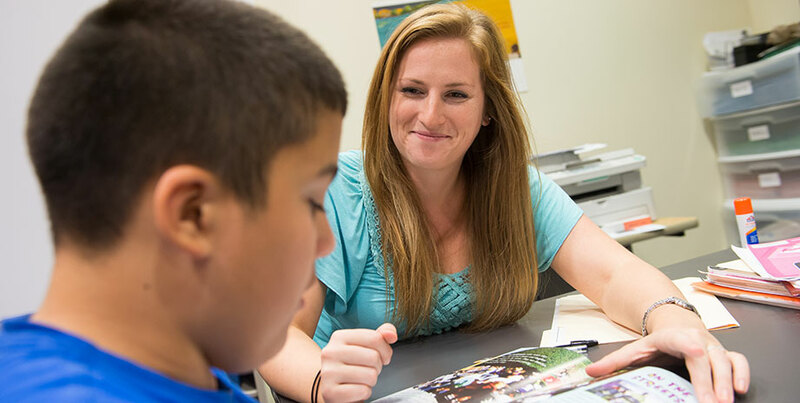 The two-year Master of Arts in Curriculum and Instruction: Teaching Diverse Learners program is designed to improve teachers’ instructional strategies and behavior management techniques for students of diverse populations. The Illinois State Board of Education-approved coursework will be offered in cohorts at Aurora University Orchard Center, near the interchange of I-88 and Orchard Rd. in Aurora, and Aurora University Woodstock Center, in downtown Woodstock, Ill. The new program reflects a goal of the Aurora University School of Education and Human Performance to respond to the changing trends and needs of the communities it serves. According to the Illinois State Board of Education, approximately 30 percent of the unfilled teacher vacancies in the state are special education and ESL teaching positions. The MACI: Teaching Diverse Learners program provides the knowledge and skills necessary to more effectively instruct students with special learning and language needs in a Pre–K–12 school setting. For more information about the Master of Arts in Curriculum and Instruction: Teaching Diverse Learners, visit aurora.edu/maci.